A new shop that just opened downtown is offering marginalized young adults the chance to build skills that will hopefully give them a path to long-term employment and out of poverty. 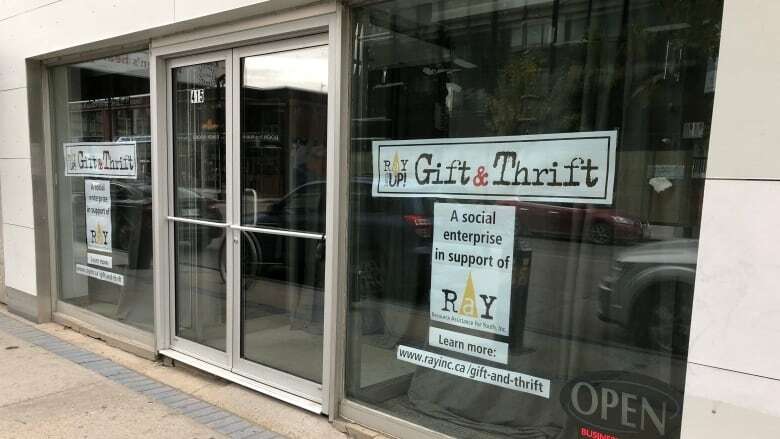 Gift and Thrift is a social enterprise launched by Resource Assistance for Youth, which gives participants in their work skills training program a chance to get experience in a retail setting. "The intention behind the store is that the people are working there to build those retail skills, and then we'd be transitioning them into a different store outside of RAY's services," said Caryn Birch, director of education and training. The Winnipeg store is a combination thrift store and gift shop, where local artists can sell their creations. People working in the store complete a nine-week classroom course that teaches them work and life skills, including resume development, workplace communication and time management. They will then spend another 16 weeks working in the store, stocking shelves, sorting through products and handling sales. The participants, who are between the ages of 18 and 29, work under the supervision of RAY staff. "The store is going to be an extra supportive work environment for youth. We are also working on finding placements for youth that are external," said Birch. It's not the first time RAY has launched a store as a means of providing work experience for their clients. A previous store at 195 Young St. was forced to close due to water damage from a burst pipe. What happens to Manitobans' used clothing donations? "That was a big part of our services at RAY and it was sorely missed when we didn't have it," said Birch. The new store at 415 Graham Ave. had its soft opening on Wednesday, ahead a grand opening, which will be announced soon. "We had a constant flow of people coming in and out of the store, which was great," said Birch. The store will be open Wednesday to Friday, 10 a.m. to 4 p.m. Net profits from thrift shop sales will go back into RAY's programming.